A : Virat Kohli has so far taken four wickets in one-day internationals, for an average of 166.25. That is indeed the highest average for anyone who has bowled more than 100 overs. Next comes an Indian captain of a much earlier vintage, S Venkataraghavan, whose five ODI wickets cost him 108.40 apiece. Pommie Mbwangwa of Zimbabwe, (11 wickets at 103.63), also ended up with a three-figure average. 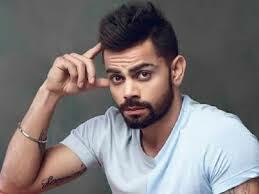 It has to be said that all Kohli’s victims were proper batsmen – Alastair Cook and Craig Kieswetter of England, South Africa’s Quinton de Kock, and Brendon McCullum of New Zealand – so maybe he should bring himself on more often! So are the Stokers better or worse than Kohli? Himesh Patel, (34-5-108-4 – he bowled in six of his seven appearances for the Club), has a better average but has bowled, (jointly with Andrews), the most overs for his four poles. 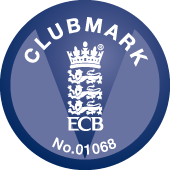 Four other bowlers currently have an average of over 100 having taken just one wicket; Mark Christie, Simon Whitham, Andrew Howorth, Ian Lipscombe and David Lee. Merv Kickbush, (27-4-99-0), has bowled the most overs and conceded the most runs without ever taking a wicket; although Carel Ferreira took his first wickets for the Club this year, having ended the 2017 season with career figures of 18.5-2-99-0. Again some stellar names there! Billy Salkeld bowled 147.5 overs for his wickets and currently has the worst strike rate in the above list. In contrast F.A.Sach took 19 wickets in just 39 overs in 1940, and has the highest strike rate for bowlers with 19 wickets or more, nine places further down that partucilar list is Bob Willis who needed just 167.1 overs to take his 62 wickets for the Club. So there you have it. You be the judge of whether these guys have any bragging rights over Virat whenever he comes to watch or play for Stoke!